A prolapsed vent is a potentially serious condition which occurs when a portion of a hen's oviduct ends up outside her body and doesn't retract back inside. It's likely to happen on a recurring basis after it has occurred once. It is more common in young layers, chickens being forced to lay through the winter (by using artificial light in the coop) instead of being able to adhere to a natural laying cycle, overweight hens, or hens who strain to lay extremely large (double yolk) eggs or soft-shelled eggs. 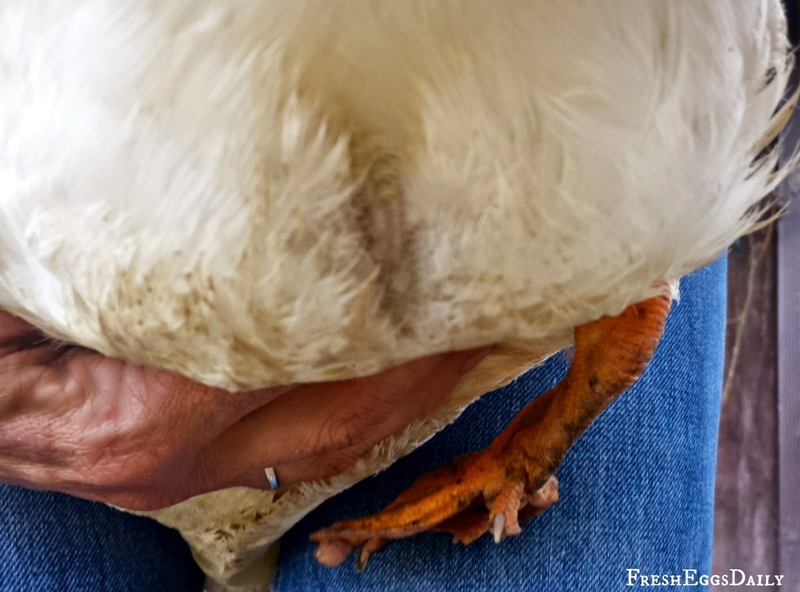 I had never treated a hen with a prolapsed vent before, but several weeks ago I noticed that one of our ducks, Maggie, was suffering. Her vent was swollen and red and part of her oviduct had clearly not retracted after she laid her egg that morning. 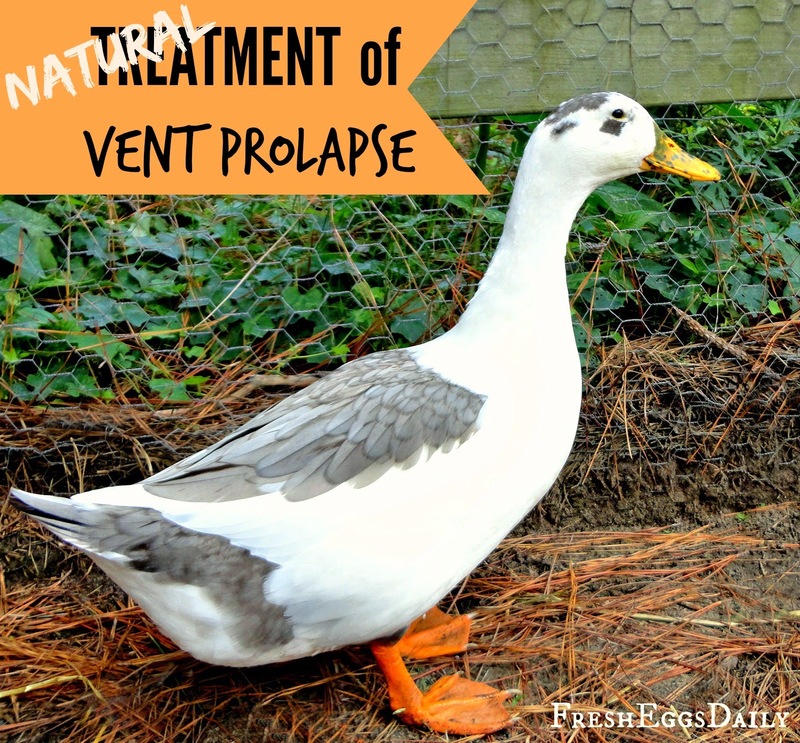 Fortunately, I knew the basics of treating a prolapsed vent (the same treatments are generally recommended for chickens or ducks) from reading about it over the years. Conventional Treatment: Carefully cleaning the prolapse with warm water and then pushing it back into place before applying (Preparation H, KY jelly or petroleum jelly or is the conventional treatment. However, not generally being a fan of "conventional" or commercial treatments, a more natural treatment uses witch hazel which is a natural anti-inflammatory that will help tighten the skin and vent, as well as soothe and reduce the pain and swelling). Applying honey or sugar will help tighten the area as well. Treatment should also include separating the 'patient' and keeping her in a dark, quiet location to prevent pecking by other flock members and to reduce the chances she will lay another egg (a dog crate with a blanket or towel draped over it works well). Withholding feed for at least 24 hours but providing lots of fresh water, followed by several days of light rations of mainly greens will help prevent another egg being laid in order to give the vent time to heal. The treatment should be repeated daily until the prolapse has healed; and the hen should be kept separate in a quiet, dark place for the duration to prevent pecking by flock members and to reduce the chance she will lay another egg. Prevention: Prevention includes allowing your flock plenty of space for exercise to help them maintain good muscle tone, a healthy diet to prevent obesity, free-choice calcium to make hard eggshells, and being given a natural break from laying through the winter for their bodies to rest. By forcing them to lay year round (by adding artificial light to your coop in the winter), you are putting an unnatural strain on their bodies. Unfortunately, I didn't have any witch hazel. What I did have was a tin of Green Goo. 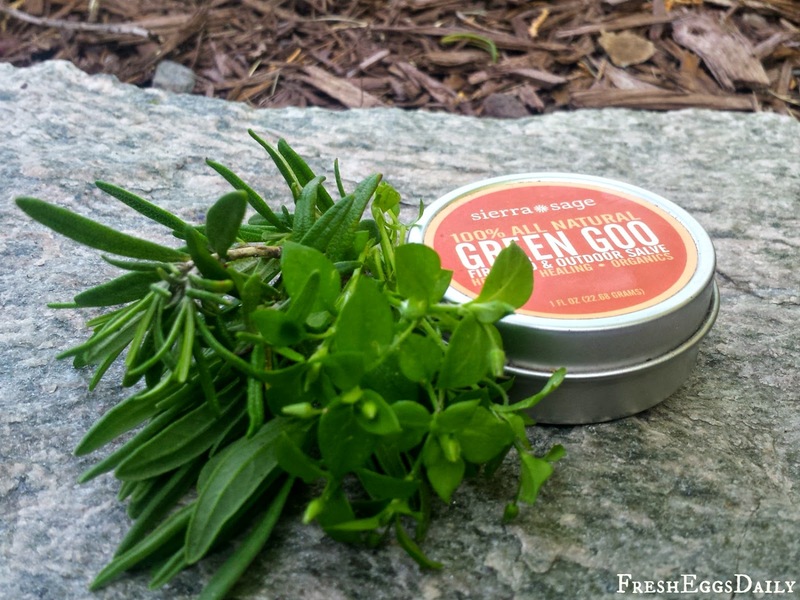 Green Goo is an all-natural herbal first aid salve. It is an antibacterial and antiseptic and also helps keep skin tissues soft while they heal. So I carefully cleaned Maggie's vent with warm water, slathered her vent with the Green Goo and then applied a healthy sprinkle of sugar to help tighten and shrink the tissue. I repeated this treatment twice a day for a couple of days and within no time, Maggie was as good as new. She started laying eggs again and hasn't had any problems since. It's been a couple of weeks now and the condition has not recurred, so I'm hopeful it was a one-time thing. Meanwhile, I am sold on Green Goo. I keep one tin in our barn first aid kit and another in the house. 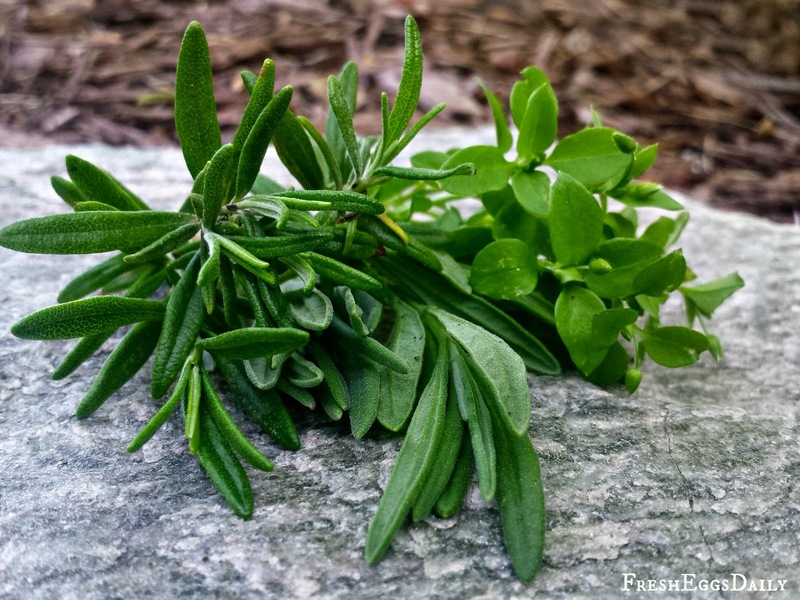 I love that it's natural, we can use it on all our animals - chickens, ducks, dogs, cats and horses - and that it helps heal cuts, abrasions and and bug bites. It is 100% organic and not only helps keep wounds from getting infected, it helps speed healing - naturally. It really is. We keep one in the house as well and when we pull ticks off our dogs, we dab a bit on their skin, instead of Neosporin. I love that its natural. Hi Lisa! Can these awesome natural products be used on we humans or just our feathery/furry friends? I would love the opportunity to try these products ! I am also lookng for more natural ways to solve problems!!! I had read about Green Goo and would love to have a chance to try it out on my chickens! !